The land beneath us is hotter than you think! In some parts of the world, hot water flows from streams underground. The heat is produced from the radioactive decay of rocks, maintaining the earth's core temperature at around 4,000°C. The Romans built a public bathing facility at Bath, England, on top of one such hot spring: it is still in use today. Hot water can become trapped until it reaches such high pressures that it bursts through the surface as steam. These are called geysers. 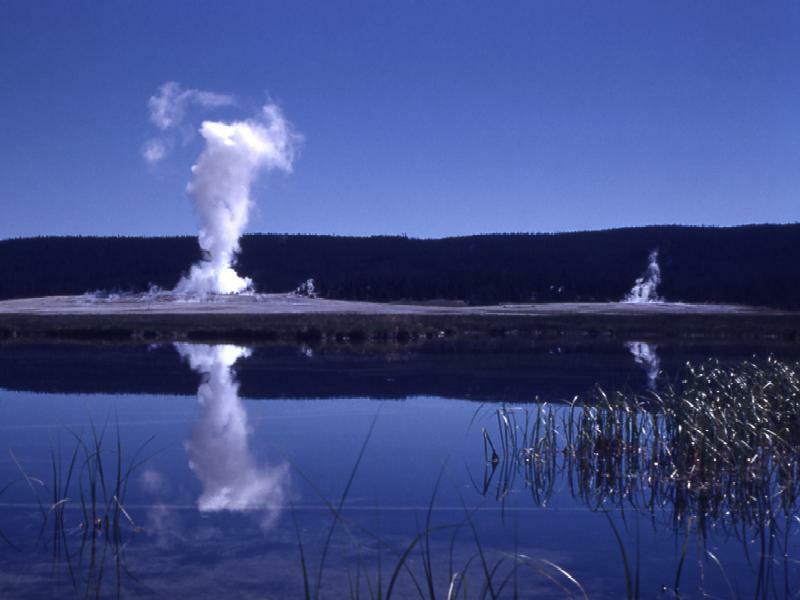 Image source: nps.gov. Used with thanks.